A government report published on Wednesday takes another step toward modernizing a law governing who can shoe--or possibly trim--British horses. Here's a resource to bookmark and share. Last night, three veterinarians from the Colorado State University Equine Veterinary Teaching Hospital hosted a Google+ "HangOut" on the subject of "Metabolic Problems That Affect Your Horse: Insulin Resistance, Cushings, and Laminitis". The Oklahoman newspaper and newsok.com tracked down former World Champion farrier Mark Milster for a nice interview and video. The video gives a peek into Mark's shop, which should make toolhead readers happy. 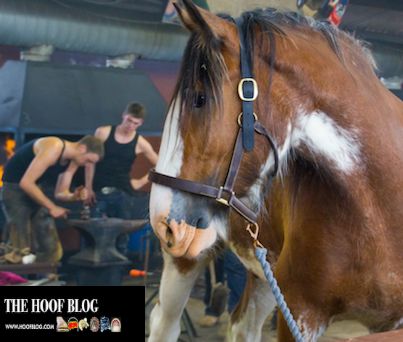 And the story of how Mark worked his way to the top of the farrier profession should inspire us all. 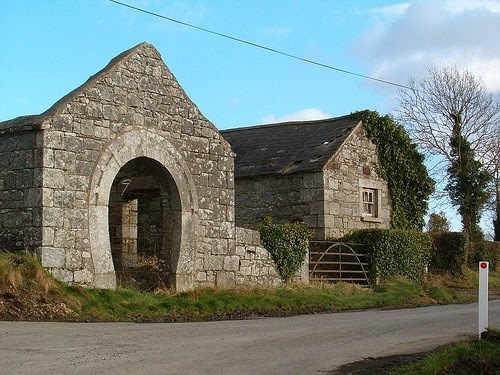 Remnants of an old forge near Castle Dermot in Kildare. and to forge in the smithy of my soul the uncreated conscience of my race." 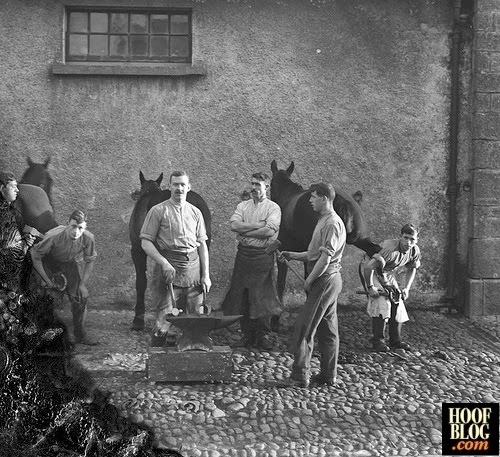 History Detectives: What Do You Notice About These Irish Farriers? You don't need to wear a funny cap and carry a magnifying glass to be able to apply Sherlock Holmes's "deductive reasoning" to old photos of farriers. Well, a magnifying glass might be helpful. There are 50 states in the USA but Arizona seems to make the news more often than most. And when it does, it is usually because there is something that lawmakers in Arizona want to keep out. Whether it's unique Arizona-only laws to send illegal immigrants back to Mexico or the rights of businesses to refuse to serve gays on religious grounds, Arizona makes the news when it makes new laws. Now it wants to get rid of equine massage therapists.